But it is something that you need to pay close attention to if you live in a neighborhood with a homeowners association (HOA) or are planning to buy soon. 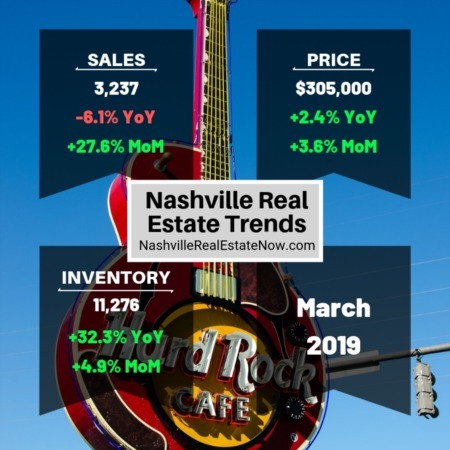 Most new construction in the Metro Nashville has an HOA. Even two tall skinny homes that are built on one lot will have an association between them in Nashville. And if you don’t pay close attention, they can come back to bite you where it hurts the most. Take the Georgetown Condos in Green Hills for example. While this is an extreme case, it caught many of the homeowners off guard because they did not keep an eye on the neighbors who represented them. Here’s what happened. There was a leak in the gas line that fed the development. And the cost to replace was very expensive for the HOA. Instead of fixing the broken line and assessing the owners over time, the board decided to pass the full burden onto all the owners all at once by forcing them to purchase electric water heaters and furnaces. 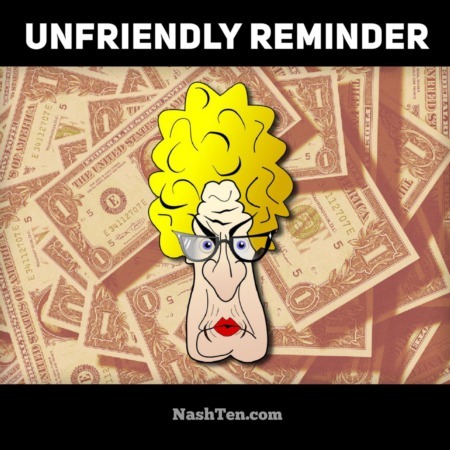 The lady interviewed in the story paid $15,000 to restore heat and hot water to her condo. While the board was searching for a solution, all of the residents had to take a shower in a trailer in the parking lot. Going back to the tall skinny homes. If you decide to sell your home, but did not keep up with the legal requirements of maintaining the HOA, you’ll need to re-file the paperwork before you can transfer ownership. 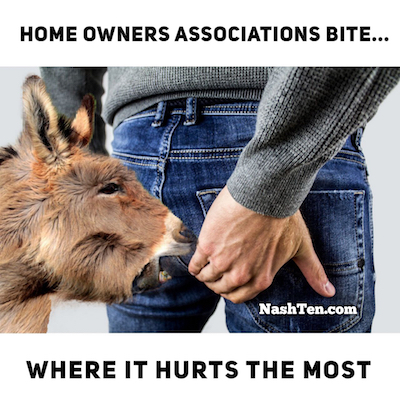 There are 1001 ways to get snakebite by an HOA and you need to learn to look out for all of them whether you are buying or selling. If you have questions, hit reply and I’ll get back to you right away. The Daily Deal in Nashville is this one-level home in popular Fieldstone Farms [Franklin] that is listed for less than $330,000.